One of the great porters of the pre-craft era, Carnegie Porter, was a valued import in parts of North America before WW I. 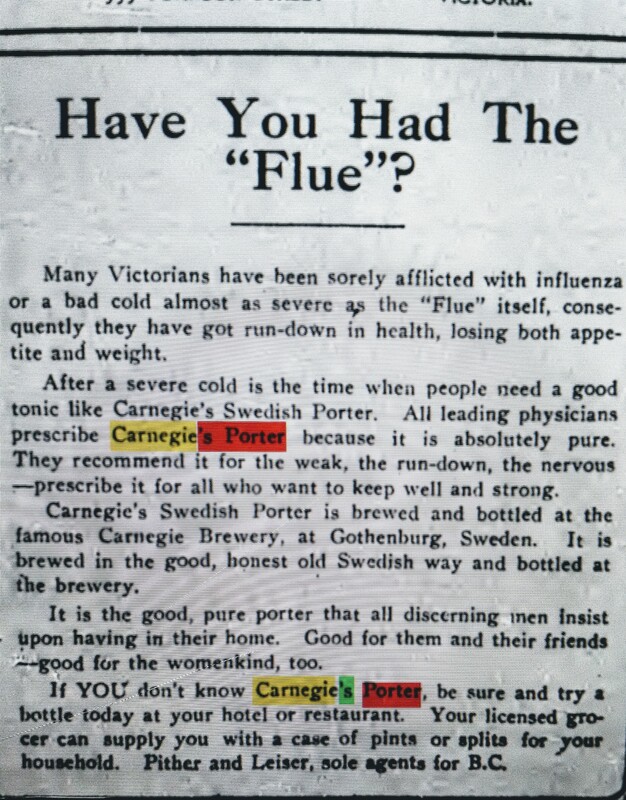 By the mid-1900s it was of average or even below-average strength due to Nordic temperance campaigning, but retained the richness associated with Imperial, Double or Export Stout. An existing porter brewery was purchased early in the 1800s by David Carnegie, Jr., a Scot wishing to capitalize on the Baltic taste for export strong London porter. The brewery was acquired on the way by a sizeable competitor, Pripps, and is now in the Carlsberg stable. The beer is still made, and is as good as ever, but Carlsberg, despite its large presence in Ontario, has never seen fit to send it here. (Brooklyn Brewery and Carlsberg have a created a small brewery that makes a range of craft beers including a strong stout in the Imperial tradition). Michael Jackson (1942-2007), the greatest beer personage to dip pen in ink, lauded the inky Carnegie in early writings. This established it as a template, with a couple of other strong stouts he promoted, for “Imperial” or “Russian” stout, now an international craft standby. Contrary to intuition or at least mine, on the eve of WW I Carnegie Porter was available in remote Vancouver Island as a quality import. It was only 30 years earlier that the edge of the continent in Canada had been opened to settlement by a rail link with the east. Yet the cream of European beer was now available, at least to the carriage trade and naval officers at the Esquimalt tender base. It is surprising how sophisticated Victoria’s beer market was. Reputed brands from the U.K. were available (e.g., Bass, Meux, Barclay Perkins, Whitbread, McEwan), from Germany (heard of Humbser? Well-known to Victoria’s beer mavens), the United States, from the Alberta granary, from Labatt in Ontario, and finally the clutch of local breweries I mentioned earlier. All this for a greater metropolitan area not exceeding 50,000 people. Imported beer was another legacy of The Last Spike albeit not the most consequential (painful as it is to allow). At first I thought the Copenhagen Carnegie was an imitation, or knock off in modern vernacular. But no, it was carried by the same importer, a high end liquor and wines dealer called Pither & Leiser. And some ads in Victoria mention that the beer is both Swedish and from Copenhagen, as above. Evidently the Copenhagen version was genuine Carnegie as far as that went. This is curious, as beer historical studies at least in English has not chronicled a Danish connection. The Leiser in Pither & Leiser was Max Leiser, a Jewish German who emigrated in the late 1800s with his brothers to trade in British Colombia. The business prospered to the point it was purchased in 1910 by no less than Guinness Brewery according to a University of Victoria historical précis. The 1st business venture of Max [Leiser] here was the purchase of ½ share in the liquor business of Urquhart and Pither, and for several years it was operated under the name of Pither and Leiser. In 1906 they built the 6-storey liquor warehouse overlooking Victoria Harbour. Pither and Leiser prospered until about 1910, when the English brewing family of Guiness [sic] became interested in the wholesale possibilities in this field. They negotiated for the purchase of Pither and Leiser, finally paying more than one million in cash for the business. Hence in the period we are considering Guinness was doing the advertising. 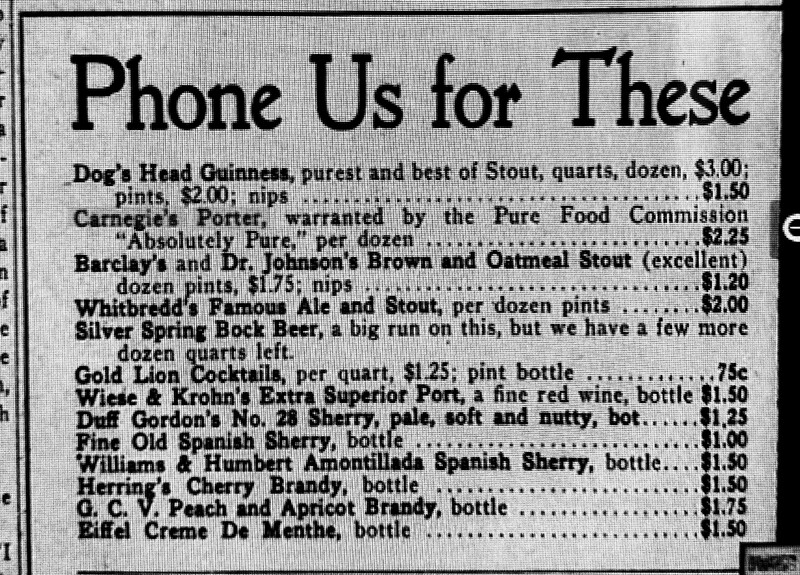 Presumably the agency carried Guinness’ beers too, but anyway Guinness can be presumed to have known and had high regard for Carnegie. Did Carnegie Brewery establish a branch in Denmark? Or did a Danish brewery, perhaps Carlsberg, obtain a license to brew it for export and the Danish market? 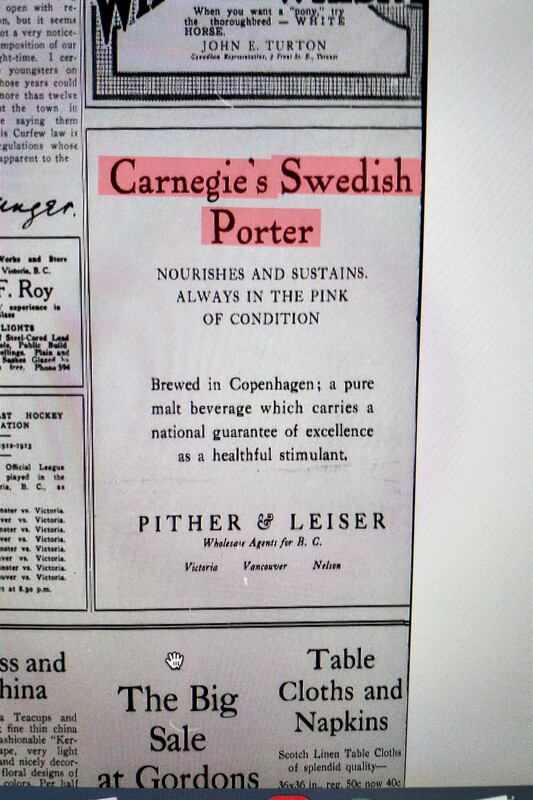 The modern connection to Carlsberg perhaps dates back to before WW I. Was Guinness even mixed up somehow in this? Neither a Swedish nor Danish origin was evidently held to devalue the brand’s appeal, by comparison that is to London or Dublin porter. In fact Carnegie Brewery is described in some ads as “famous”. The fact that it was porter from Europe was warrant enough even though made far from the Georgian Thameside whence porter’s international reputation arose. Porter in other words was a European by-word for quality in beer as late as the Edwardian period. Ales had gained considerably on porter in Britain, as did lager in North America, but once established in the collective memory a product and reputation can long endure. Pither & Leiser made hay of this. Probably too the British sound of the Carnegie name helped. Finally, the coincidence of a prominent American, Andrew Carnegie, sharing the same name as the beer cannot have hurt. In fact, I suspect it’s one of the reasons Carnegie Porter had cachet in North America. Few people in the U.S. or Canada, even in obscure Vancouver Island, had not heard the name Carnegie, if only from the lending libraries he established internationally. Note re images: images above are sourced from the historical newspapers respectively linked in the text. All intellectual property therein belongs solely to the lawful owner, as applicable. Used for educational and historical purposes. All feedback welcomed. In three parts all referenced here, I discussed an advertising campaign in Victoria, B.C. in the Daily Colonist for stout from Barclay Perkins, a venerable London brewer. These ran from 1909 to about 1917. Some ads were sizeable and focused only on Barclay Perkins, which suggested perhaps some support from the brewer, as this example from 1910. Ads ran in other local papers for Barclay Perkins but the Daily Colonist had the most lavish ones. In a comment to Part III in the series I referenced a 2008 article by the Victoria journalist and writer Ross Crockford that described a sophisticated local brewing scene. Although not mentioned, one of the brewers was Esquimalt Brewery. It was located in the harbour town of Esquimalt a few kilometres to the west of Victoria. Esquimalt had hosted the Royal Navy’s Pacific Fleet from 1865, when it had re-located from Chile, but by 1910 the newly-established Royal Canadian Navy took control of the installations. Esquimalt and Victoria nonetheless retained their British character for generations. This was due in part to the earlier history but also later connections with Britain, for example U.K. retirees moving there. The expression “to every action there is an equal and opposite reaction” is not as applicable in business as in physics, but it conveys an essential truth. Local brewers were not going to let foreign brewers beguile the Victoria beer trade without some replique. We see an example in 1915 in the form of this ad in The Week, another journal of the southern tip of Vancouver Island. Esquimalt Brewing operated on Viewfield Road, having taken over a business of similar name earlier, see some details here. The reference to “Genuine British Labour” is interesting. The ad states that the brewer was a Briton working in Canada, and perhaps some other staff were. This would have reassured readers on the authenticity of the beers. The denigrating references to Germans, Austrians and lager are due to the prevailing war, evidently. The statement that the beers were “Local Products” meant their purchase would support the local economy. Note how the ad suggests the long journey from Europe would have made the imported beers excessively acid. Sourness in those times, for these beers of English tradition, was regarded as a fault except in some old ales. Esquimalt Brewery here was referring not just to Barclay Perkins’ porters but to stout from Bass of Burton, Meux of London, and Carnegie porter (from Denmark or Sweden as I discussed earlier), all of which were advertised in the same period. 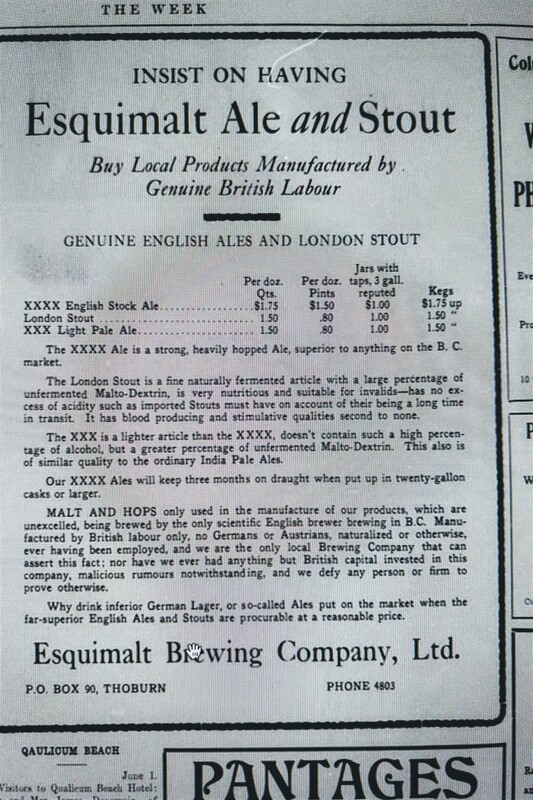 So Esquimalt is saying, our “London Stout” is made locally and has no undue acidity, hence is superior in quality. There is therefore a passive-aggressive quality to the ad. It is not quite “native son” in that it appeals to the British quality of its products, but refers to local manufacture and lack of acidity to help sales. Victoria’s water is notably soft, which favours porter production. Esquimalt Brewing probably made a good version of London porter but as good as imported stout? That must remain an open question. The detail given on Esquimalt’s ales is commendable. The nomenclature uses X designations in connection with pale ale or India pale ale. This reminds me of a similar, 19th century practice in Syracuse, New York. I cannot find the source quickly but will add it to the comments later today. I think the ales were probably two grades of pale ale or bitter beer, but in different strengths. The stronger one was longer-aged and fermented out further, hence drier than the staple pale ale. The same distinction was expressed in 19th century British beer ads in different ways, IPA vs. EIPA, say, or pale ale vs. IPA. Possibly though the XXXX here was not a pale ale but rather in the style of a regional U.K. strong ale, and well-aged. By 1915, eastern ale breweries were losing interest in such refinements of classic Victorian ale. They were developing and perfecting their sparkling ales: medium gravity, filtered, and finally pasteurized. These were beers meant to be consumed cold a la lager. Yet, way out in Victoria in 1915 Esquimalt Brewery was still working in the habits of a generation earlier. This makes sense given the distance from the east coast where the money and market existed to capitalize on recent innovations. Perhaps too as Esquimalt’s population was still a British rump local brewers wanted to work in a vernacular familiar to them, this is possible. Note re images: the first image above was sourced from this 1910 issue of the Daily Colonist. The second was sourced from this 1915 issue of The Week. All intellectual property in the sources belongs solely to the lawful owners, as applicable. Images used for educational and historical purposes. All feedback welcomed. Without having access to company records and pursuing a detailed study of British brewing economics in 1900-1914, it seemed unlikely I could make further progress in this series. Yet I can, due to the happenstance that an issue of International Brewers’ Journal, No. 45 is available full-view in Google Books and covers 1909. 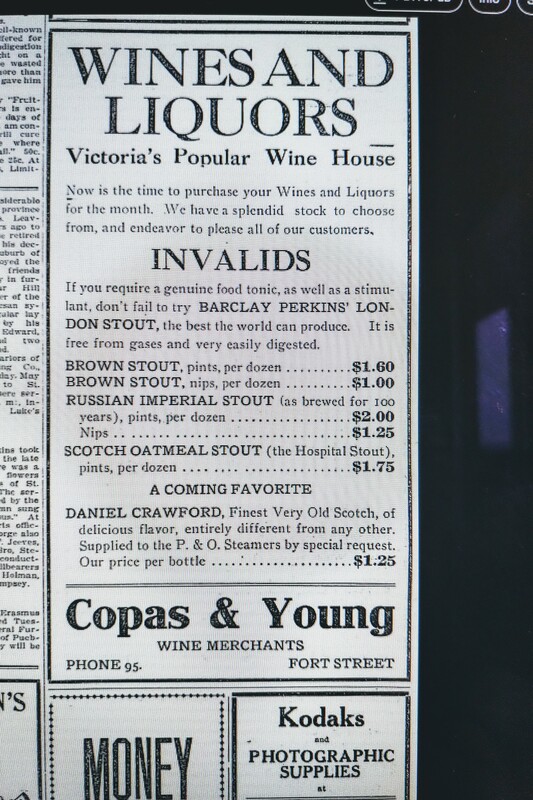 * This is approximately when Barclay Perkins starts to advertise prominently its stout and ale in Victoria, British Columbia (see my Part I and Part II). All my earlier conclusions are borne out, I’m happy to say, except the idea that Victoria was intended as a depôt to supply Asian or coastal U.S. markets, which is not substantiated to date. First, take the travails of the industry in general, for which I cited some secondary authority. The journal makes very clear that the years 1901-1909 were continually loss-making for British brewing except for one year’s rally, in 1907. See the discussion at p. 2 of the link above. Barrel “shrinkage” in the eight years was “enormous”. 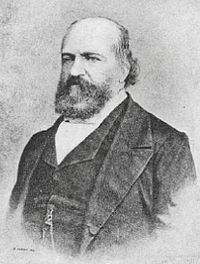 Regarding Barclay Perkins itself, indeed it had overvalued and written down freehold purchases for pub locations, and the company failed as well that year to declare a common share dividend. Both are confirmed in a Barclay Perkins communication reproduced in the journal, even as the company remained bullish on its general prospects, as companies will. Clearly though the industry and company picture were not encouraging when far-away Victoria beckoned as a new market. See p. 418. I speculated Victoria appealed due to its strong Britannic character. This is borne out by a research study summarized in the journal that examined the prospects of the Canadian market for British brewing. The message: imported British beer is generally too expensive in Canada at a shilling a bottle, or “a quarter”, and hence only “Englishmen” here can be counted on to buy it. The account does not state Barclay Perkins commissioned the study, but it is unlikely it didn’t know about it, if only to read it in this issue. See p. 103. The study was by a H.J. Rodgers, apparently published in Canada. It would be very interesting to put one’s fingers on it; if anyone can, I’ll stand you a pint in Toronto. Hence, the company was following this advice, or at least was acting consistent with it. 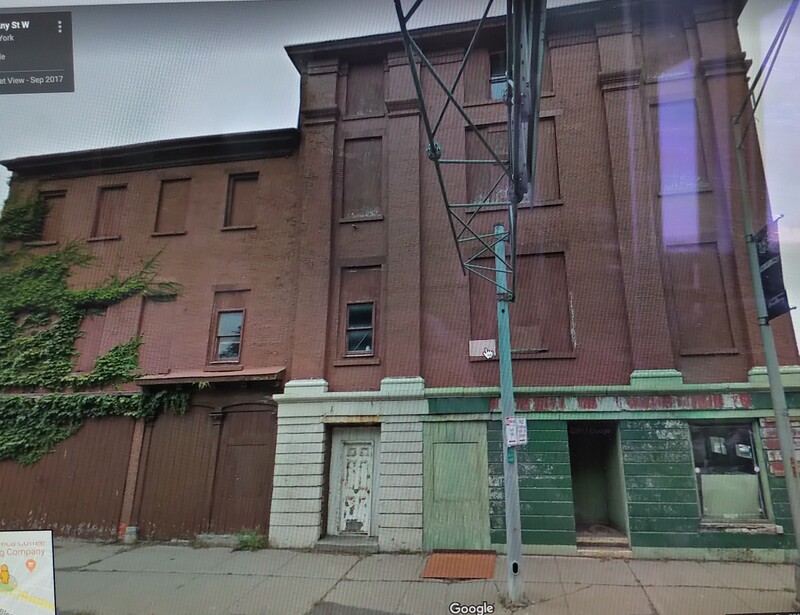 Perhaps Barclay Perkins made a similar effort in Newfoundland and other places retaining a strong U.K. character here, but so far I have not found the evidence. The journal notes at p.176 that beer exports to British North America were 7,729 barrels for the year ended December 31, 1908 (so Canada and Newfoundland), while the U.S. got 66,387 barrels, consistent with its greater population. Clearly Barclay Perkins wanted to increase its share of sales to “BNA” and possibly shore up total North American sales, as the journal notes total industry sales to the U.S. were down, as for British India. Now, to oatmeal in beer. Remember I stated some of the Barclay Perkins ads touted “two flavours” of stout, one being “oatmeal”? 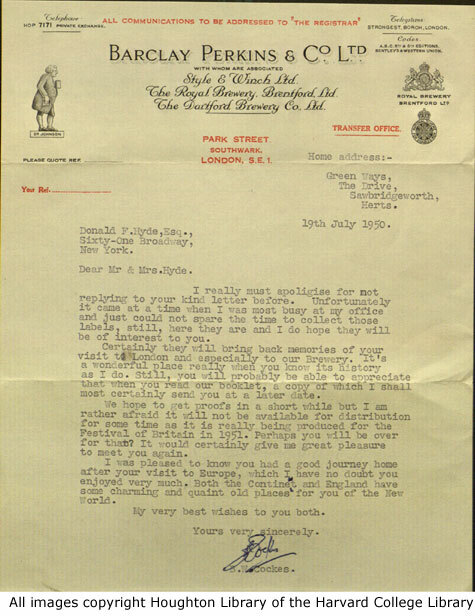 A correspondent wrote in to ask the journal if approximately 7% oats in the mash would entitle him to call his stout “oatmeal stout”. See p. 130. The journal replied that 7% was the range used by some producers who called their stout just that, hence he might, too. Indeed the journal estimated that 15% would be a “high” rate. 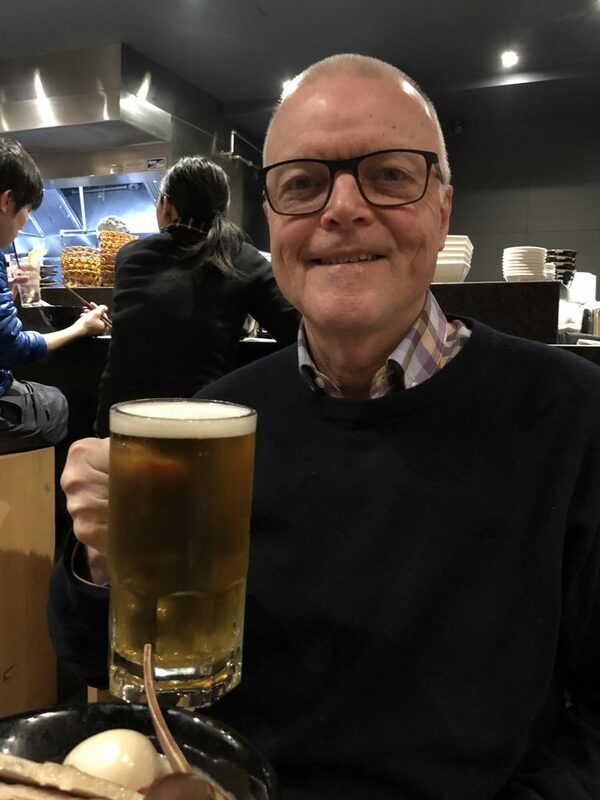 Beer historian Ron Pattinson has examined aspects of this area, see e.g., a blog post from 2016, here. It seems the London porter brewers whose records he examined did not exceed 1%, and 3% was high generally in U.K. brewing with some exceptions such as Maclay Oatmeal Stout (30%). Nonetheless the journal’s advice in 1909 that 7% oats in the mash tun was typical of oatmeal stout so-labeled is noteworthy given the source, which regularly advised brewers on many kinds of technical issues. Whatever Barclay Perkins’ oatmeal stout in 1909 held by way of oats, evidently the quantity was thought enough to affect the flavour. Unless the advertising was puffery, which is possible. 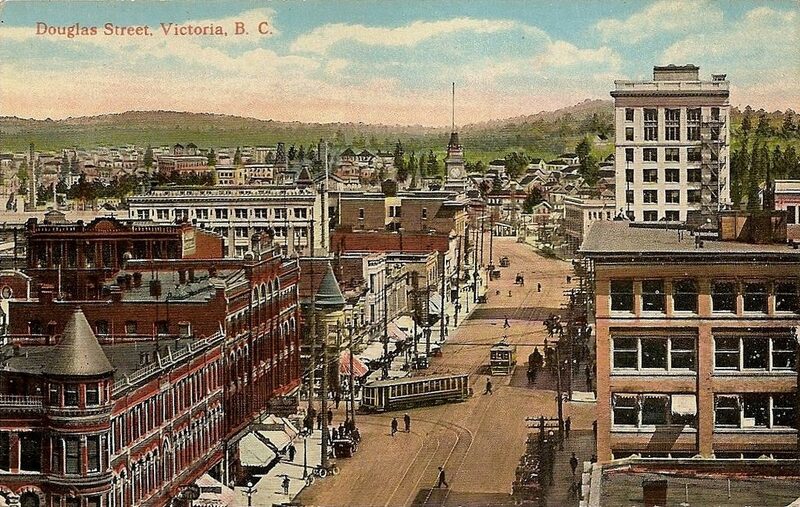 See our next post for one response by a Victoria brewer to the pitch made (sorry) by Barclay Perkins in Victoria. Note re image: the image above was sourced from this 1910 issue of the Victoria Daily Colonist. All intellectual property in the source belongs solely to the lawful owner, as applicable. Image used for educational and historical purposes. All feedback welcomed. *See Ron Pattinson’s Comment which notes that the journal title is actually Brewers’ Journal. For some reason Google Books includes “International” in the catalogue title.